In all of his furniture designs Mart Stam relied on straightforward forms, an aesthetic economy of means in the construction and the benefit of improved seating comfort. 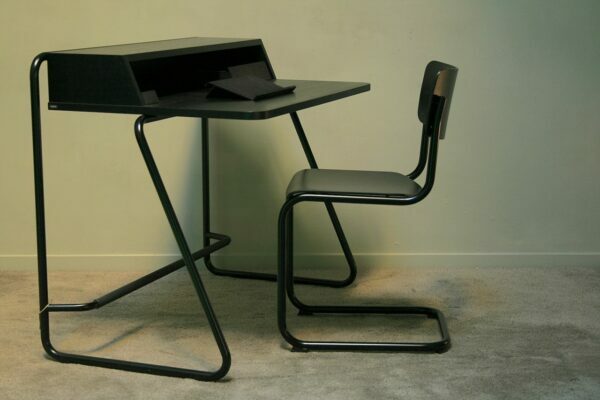 In the case of S 43 he combined the tubular steel frame with moulded plywood shells for seat and back and thus created an absolute reduction. Due to the comfortable flexing effect of the frame, upholstery is unnecessary. 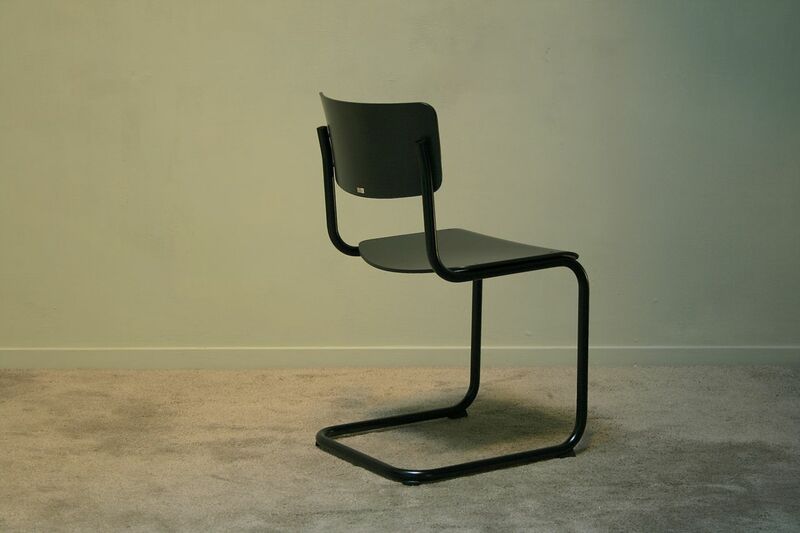 Its clear, reserved form makes this cantilever chair an exemplary design in the spirit of modernism. 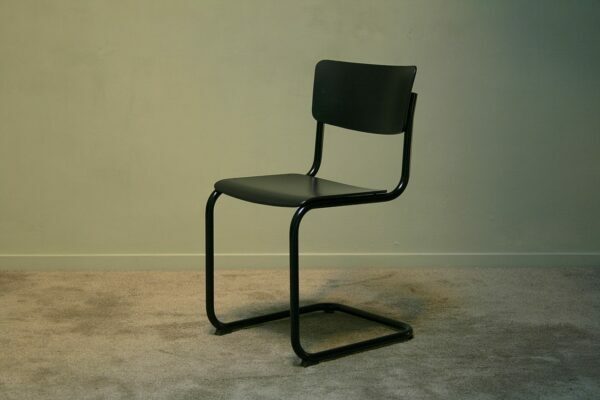 Today, Thonet owns the artistic copyright for this strictly cubic “chair with no rear legs”. 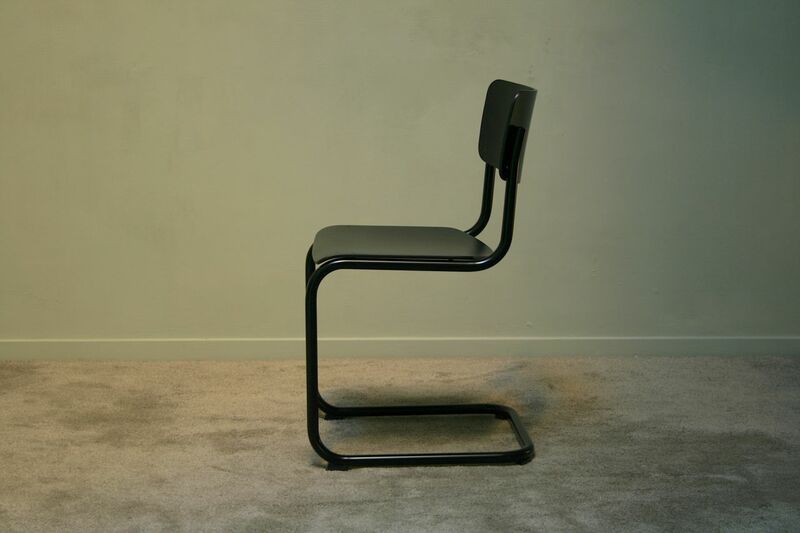 Without or with armrests. Frame tubular steel chrome-plated or lacquered in various colours (not stackable). 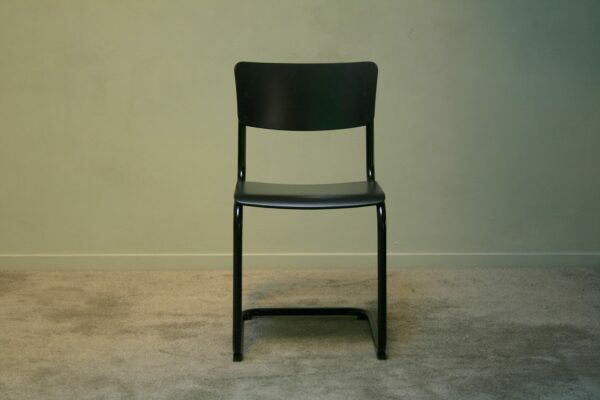 Moulded plywood seat and backrest in stained beech, lacquered or with structured coating in 11 different colours. Also available with upholstered wood shells, covered with leather or fabric. The cantilever chairs from programme range S 43 with a set in TP 29 black (stain) or RAL 7021 (lacquer or structured coating) as a standard have black rivets on the seat and backrest. All other colours are assembled with silver rivets.